Looking for something a little different? 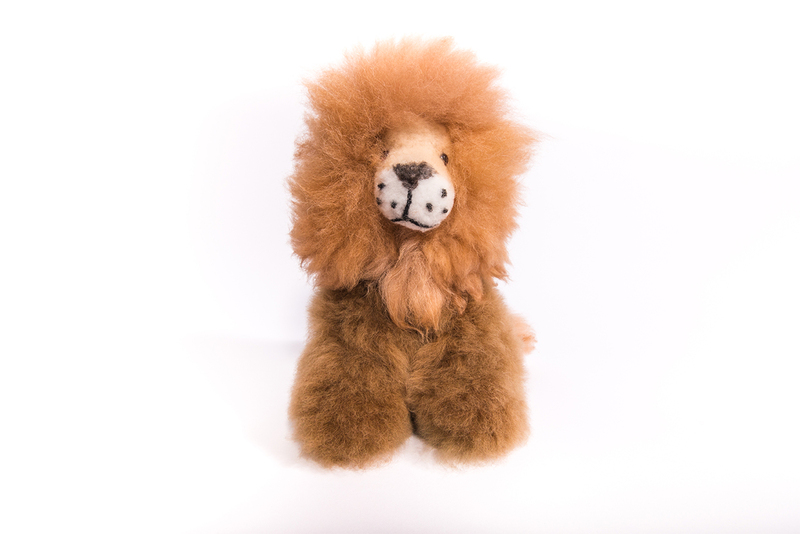 The Lions are soft and fluffy, just like the real deal. These stuffed animals make a great gift for any age. Depending upon availability, lions can be sitting or standing - medium or large. Alpaca toys are made in Peru with 100% Alpaca pelts. These toys are hypo-allergenic and extremely soft. As Alpaca is a natural fibre, it does not attract dirt and can simply be wiped clean with a damp cloth. It's also worth noting that Alpaca is not a host to dust mites, making it a healthy alternative for those with sensitivities to dust allergens.